Costs, like any other number, mean nothing sitting on their own. This is a question choosing the best option. Even using a notoriously expensive ‘first-of-a-kind’ nuclear example, new nuclear is still the best value for zero-carbon generation. The proposed Moree solar PV farm comes in at $19.6 billion per GWe – with no electricity storage. If we look beyond the infamous Finnish example to some of the other 60 new reactors under construction or more than 200 currently proposed,the picture becomes even clearer. 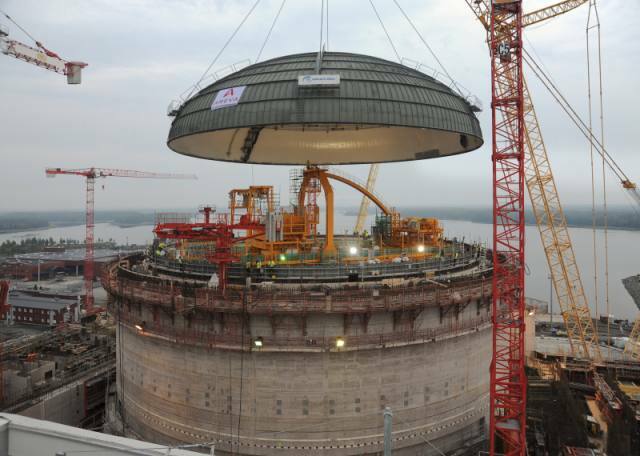 South Korea is undertaking a substantial program of new nuclear build. Indeed, the South Koreans have sold their technology and expertise to the currently non-nuclear United Arab Emirates at a contracted price of $3.5 billion per GWe with 6 GWe to be delivered by 2018. Meanwhile the Chinese are delivering new nuclear based on the Westinghouse AP 1000 design for reported domestic cost of as low as $1.7 billion per GWe. So, if we want zero-carbon generation at scale, we would be foolish in the extreme to reject nuclear from consideration on capital cost grounds. But what we really want is the product of the power plant, not the plant itself: that is, dependable electricity. Here, nuclear excels, delivering electricity at an excellent price, with capacity factors now exceeding 90% in the U.S. and South Korea. Perhaps even more importantly, this price will be reliable. Thanks to negligible fuel costs and no carbon emissions in the generation, nuclear power is almost completely insulated from two of the biggest incoming pressures on power prices: carbon prices and fuel scarcity. When we are building expensive infrastructure with long life, such considerations matter a great deal. So where does that leave us? Real-world experience tells us that nuclear can provide well-priced and reliable electricity. In capital terms, nuclear is the best-value form of zero-carbon generation, with miles of daylight to the competition. That may be a surprise, but this industry has learned. New designs are predominantly more standardised in design, and more reliant on passive, rather than engineered safety systems, and come in a range of sizes. All of this brings cost down. If the CEO of, say, Origin Energy said to the board “I’ve got a great idea. Let’s spend $5bn of the company’s money, for which we will not start seeing a return for at least 5 years” he would be laughed at. In fact he would probably be sacked. Tony’s point is a deadly serious one. He is not saying it’s difficult for fully private investments in nuclear, or other multi-billion dollar energy technologies for that matter. He’s saying it’s impossible. If Australians want the best energy outcome as we undertake the challenging replacement of our aging fossil baseload, we will need to remember something: such projects are nation-building works.Whether we like it or not, some Government involvement will be required, to ensure a public good. This could be as simple as a loan guarantee (which protects the lender, not the vendor. The project must still stack up on financial grounds) such as the U.S. Government is providing. Or it could be something more complex, like an emissions-trading scheme and power-purchase agreements. Our point is this: we can’t have something for nothing, least of all major infrastructure. The “barrier” of nuclear cost is one of our own creation, born of a lack of context and comparison, and our collective amnesia regarding nation building. We have a job to do. It is going to cost a lot of money, so we had better make sure we get the best result. If nuclear technology is a financial lemon, it won’t get up. There is no reason to exclude it from making its case, on a fair and level playing field.